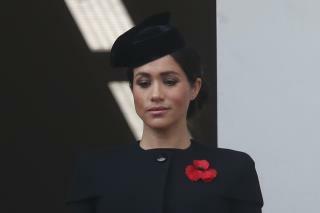 (Newser) – Tensions between Meghan Markle and her father went public Saturday when he let a British tabloid publish her anguished letter to him, People reports. "Daddy, it is with a heavy heart that I write this, not understanding why you have chosen to take this path, turning a blind eye to the pain you are causing," the 37-year-old Duchess of Sussex wrote in her August 2018 letter to Thomas Markle, 74. "Your actions have broken my heart into a million pieces—not simply because you have manufactured such unnecessary and unwarranted pain, but by making the choice to not tell the truth as you are puppeteered in this. Something I will never understand." I've got a solution to the problem for the Duchess. Take a couple million of her acting money and set up a trust for the health and welfare of her father and sister, to be used in the event of illness, and/or financial hard times, both to be clearly defined in the trust Set up a third party as Trustee to determine whether any application for funds shall be granted. Make a requirement to qualify for the trust that no media or private entity will receive any information in any form from either of them about themselves or the Duchess or any member of her family, or complain to her of the trust about the terms of the trust, from the date of the trust onward, or they will immediately become disqualified from the trust. If they open their mouths or publish anything or complain to the press or seek publicity of any kind, they get diddley squat. I'd bet they'd disqualify themselves within a WEEK of the trust being established, and try to blame her for it, somehow. I doubt the trust would ever have to pay out a penny. He didn’t want anything to do with her until she married the prince.